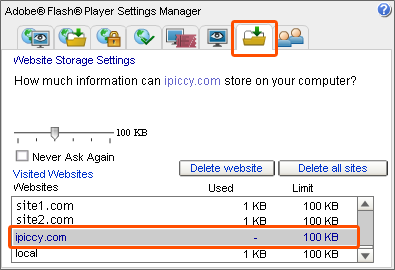 Because of the Flash Player bug on Macs(Linux) you should perform several simple steps to enable Local Storage for your iPiccy account. Adobe Flash Player Settings dialog should appear. However, you won't be able to press "Allow" button because of mentioned bug. 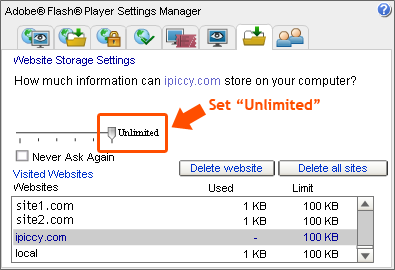 To enable Local Storage go to the next step. 5. Restart your browser and open iPiccy. Then go through activation process once again.